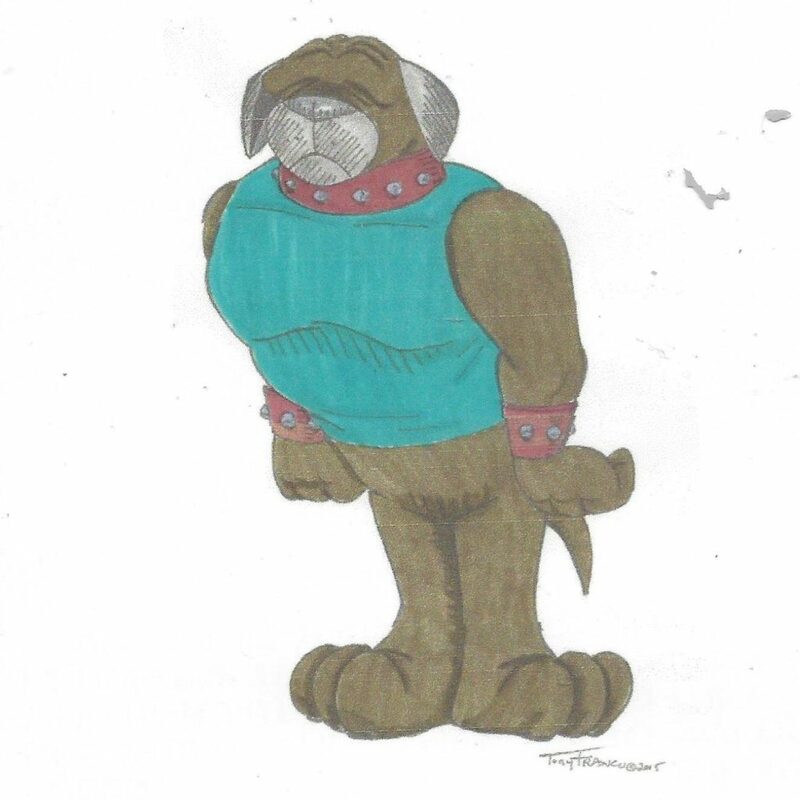 Grunt is a Bull Mastiff and is the teams heavy-lifter. His name refers to, not only who he is, but how he talks and the work he does for the team. Grunt is the strong silent type you just “aim” and let go.